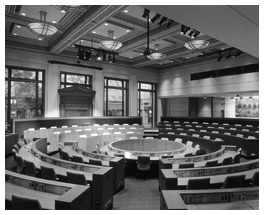 I attended this two day conference at the stunningly beautiful Morris J Wosk Centre for Dialogue in Vancouver BC and am sharing what I learned here. Overall the conference went well, no major hitches and my sense was that for many there was learning and connecting taking place. To be honest, I personally didn’t pick up too much new information but I am a conference snob and have unrealistically high expectations around learning and learning environments. I did meet many very cool people and have already followed up with a few of them and more importantly have connected them to others that were not at the conference. So, day one, opening plenary introduced the hosts, Tewannee Joseph of Tewanee Consulting Group and Blair Carlson, Acting Regional Director General, Indian and Northern Affairs (INAC) BC Region. It also set the tone and context for the conference. Many of the conference presenters and plenary speakers had been involved in the 2010 Winter Olympics, VANOC and especially the Torch Relay and this was really to be a “lessons learned” type of event. The first of the workshops I attended was called “Quotable Quotes – Developing your community’s key messages” hosted by The Pace Group. The size of the group was small enough that there could have been a lot of interaction but alas that was not to the case. Once the handouts of the PowerPoint slides were passed out, yes, lots of bullet points, I knew this was old school, conservative, and broadcast media focused. There was some good basic information presented. “Know your audience” for example, was great advice. Unfortunately the presenter didn’t take his own advice. Had he asked a few question at the onset he would have known that there were people there (ok, there was me) that had blogged for years and that not only worked in social media but had embraced it completely. Had he known that he might not have so emphatically stated that social media was a fad. Nor would he have said (at least I hope he wouldn’t have said) that for the most part bloggers could be found sitting around in their underwear in their mother’s basements. He also talked about the importance of creativity and thinking outside of the box. This didn’t have the impact it could have partly due to the didactic and less than creative medium used to express the point. Overall, ok information and what could have been an amazing and impactful presentation was, well, ok.
Ironically the next session I attended was all about social media and how it was here to stay. Coppermoon Communications did a great job of getting lots of basic information out in a fairly creative way. The title of the session was “Web 2.0 Tools and Techniques” however what they actually focused on was strategies and the research that had done on how to reach First Nations and aboriginal peoples with various types of media. Some of their information was really usable and although they also had PowerPoints, the slides were not laden with bullet points, they were visual and creative and had that necessary stickiness. The presenter, Coppermoon founder, Jacob Beaton, started off by discussing motivation and his slides were awesome. You can see all of their presentation material and sign up for their newsletter on their site. He also provided some surprising statistics about the literacy rates in Canada with the reminder to “keep it simple”. Regarding broad target audiences he suggested that Youth don’t read off paper and Elders won’t read off a computer screen or cell phone. This is critical information for anyone hoping to reach communities of people. You need to think media buffet, multiple types of media to get you message out to the entire community. Although his information and delivery was good what impressed me most was that he understood and talked about the link between social media and social justice. I kind of cringed a bit when he framed community feedback as punishment and reward but the point was made. I also love that the website has so many opportunities for learning. That’s good business. And he kept his work, the day after the conference I got an email from Coppermoon with all the presentation materials and links to additional information on their website. See also Jacob’s blog post about the conference. In addition to handouts and toolkits provided by some of the presenters all attendees received a copy (hard copy and disc) of a Communication Toolkit put together by the organizers. The kit includes things like templates for media releases, photo releases, and some really easy to follow “how to” information. Also, http://fnbc.info/ has over 100 templates, forms and toolkits many focused on communication. Ya, it was kinda shocking given the focus of the other presenters.. Speaking of which Jacob Beaton from Coppermoon did not present alone. He co-presented with Jeff Ward who runs http://www.animikii.com/ Apologies to Jeff. He does awesome work. I’m shocked that a presenter said social media is a fad. That’s bizarre. I really appreciated it when the presenters post their materials online.